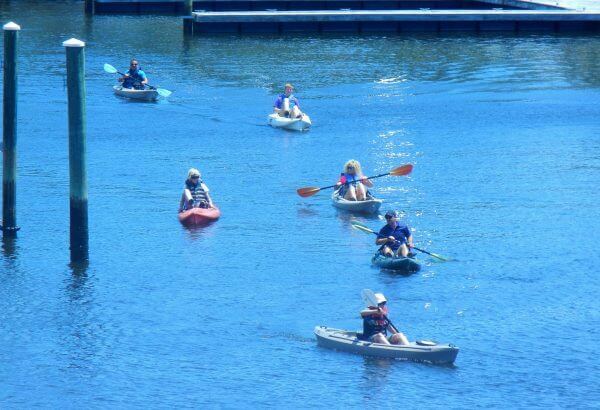 Lots of kayaks in the marina, in the waterway and adjacent streams. St James even has a kayak launch at the dock in Waterway Park. These folks just came in for lunch.